The Roanoke Rescue Mission is a Christian, non profit organization which provides safe shelter for men, women and families. As well, meals, medical care and rehabilitation programs are available for our guests who are in need of this type of crisis intervention in their lives. 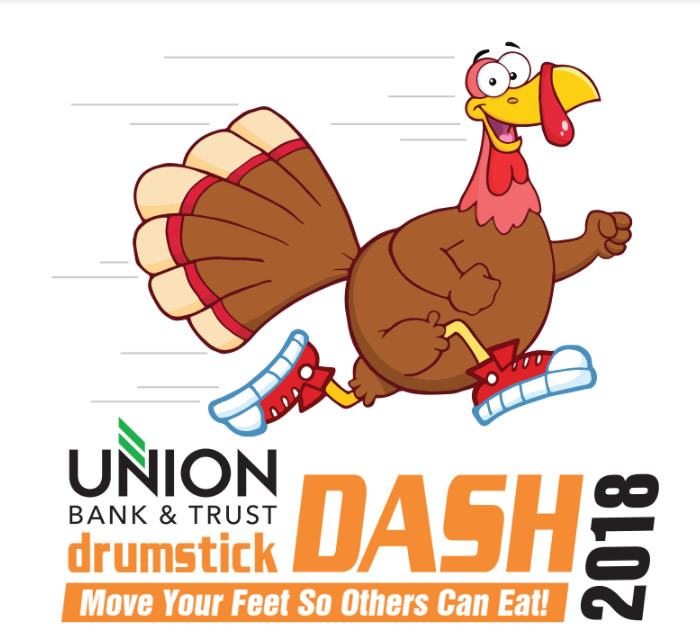 The Union Bank & Trust Drumstick DASH is a 5K (3.1 mile) Race/Family Walk held on Thanksgiving morning!! It's motto is "Move Your Feet So Others Can Eat", with all the proceeds going to the Food Budget at the Roanoke Rescue Mission. This year, the Rescue Mission will serve over 250,000 meals to men, women and children who otherwise would not have nourishing meals. It's a wonderful way to remember those who are struggling and at the same time thank God for all your blessings! !